Do you live in or near Chesterfield and want to make beautiful silver jewellery? We have beginner's weekly courses and a beginners' 2 day 'taster' jewellery class at our local studio. Book your course or class today. Looking for Jewellery courses in Chesterfield? 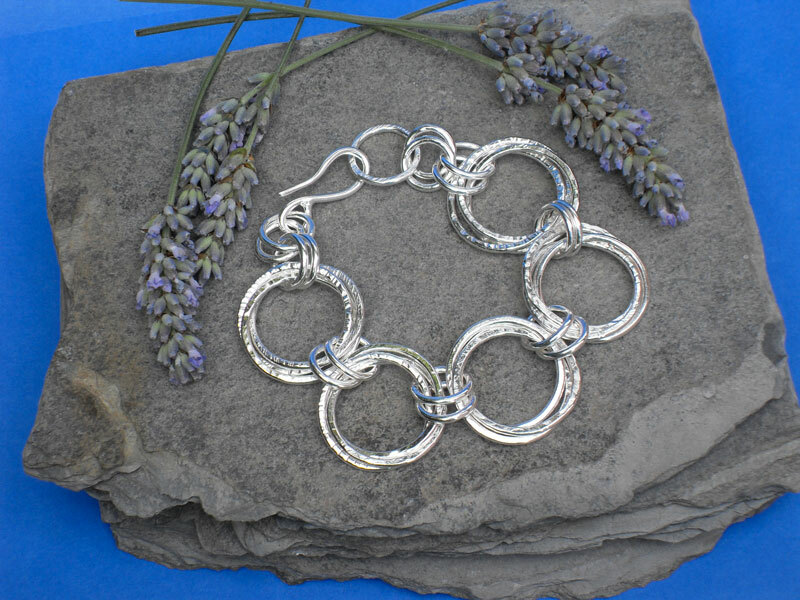 Do you love silver jewellery and would like to make creative jewellery for friends and family? Our students will learn how to make jewellery from natural materials from around the world, combining different metals, semi-precious stones and colours. Our friendly and well run classes are held in our design studio in Hollingwood, Chesterfield and we are perfectly located for anyone in the local area to attend. We have students from Sheffield, Derby, Chesterfield and Mansfield so what are you waiting for? Book your jewellery course today! These short courses & workshops are aimed specifically at beginners only. Limited to 6 students and held at the weekends. These one day workshops are subject specific and cater for beginners up to advanced level abilities. Max 6 students, held at weekends throughout the year. Log in here to download free project ideas, technical information & more. Need a log in code? Join our mailing list above. “I thoroughly enjoyed the stone setting day. It passed too quickly! I feel I’ve really taken to stone setting and by the end was already thinking about what to set next time. I learned that accidents are ok and just give a different result rather than causing a disaster, in fact my melting accident improved my pendant! I’ve had LOADS of comments about the ring which I’ve worn constantly.